Happy New Year, darlings! 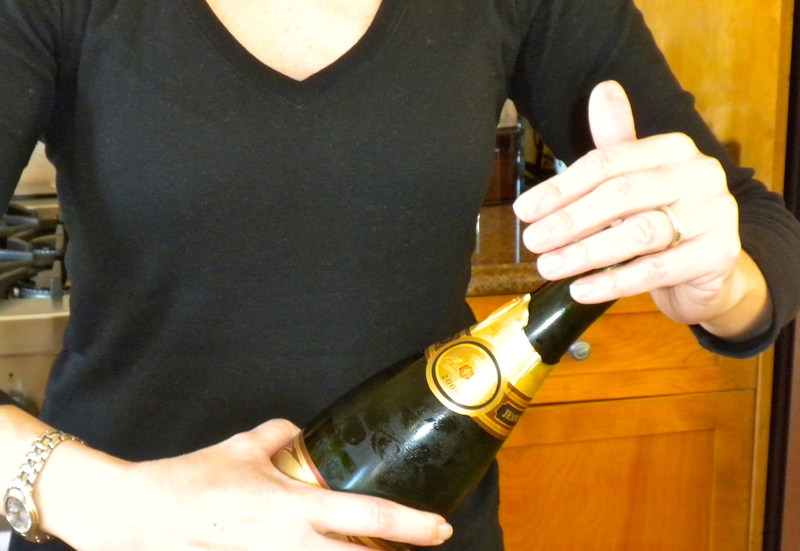 Ring in 2014 by showing that Champagne bottle who’s boss. 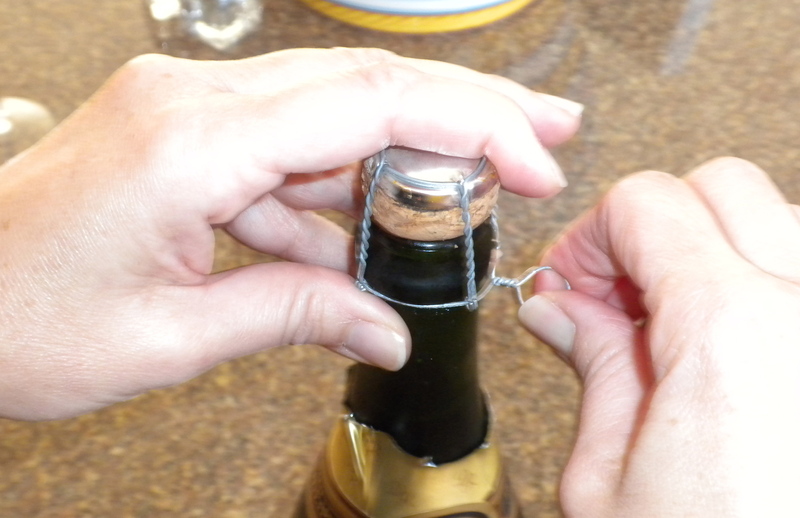 By popular demand, here’s a post on how to uncork a sparkling wine bottle in five easy steps without losing an eye, your dignity, or a close amigo. Cheers and may your glass be always full in the New Year! Six twists is all it takes. Condensation may cause the bottle to be slippery. You don’t want that. Take a dish cloth or towel and wipe off some of the moisture so that you can get a good grip. 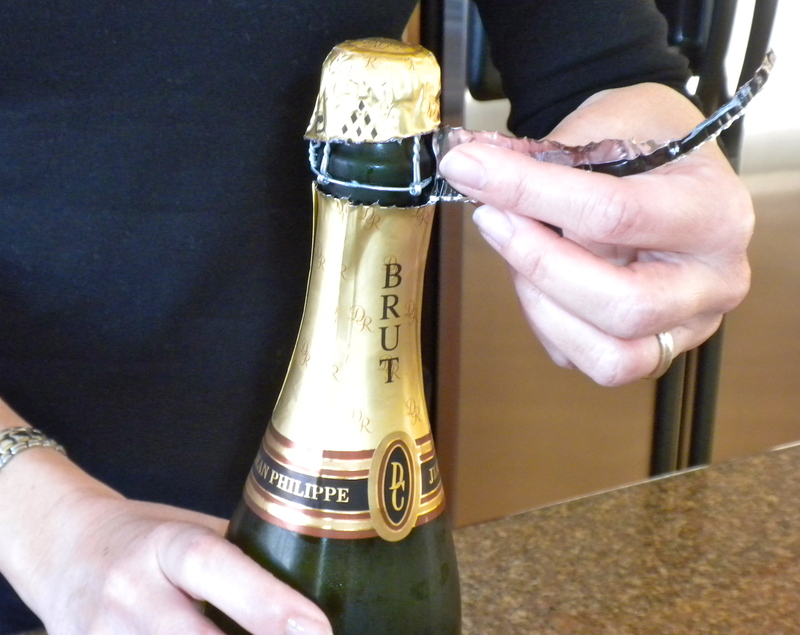 Take note: cover the cork, don’t pull on it. You’re preventing the cork from going flying by placing your hand on top of the bottle and pressing down firmly, or, as my mother would say, sin asco. 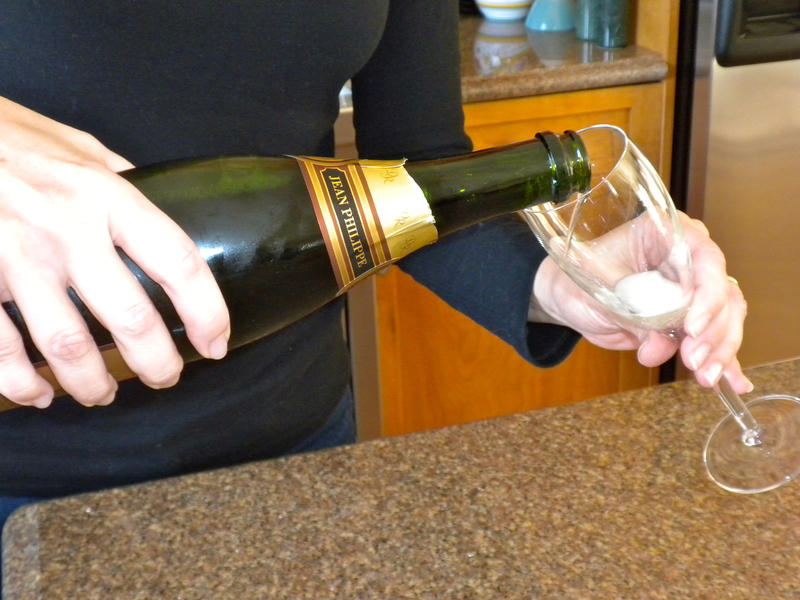 Twist the bottle, not the cork. Sí, you heard right. You’re not pulling on the cork. Trust me – it has all the motivation it needs to dislodge. Instead, you’re rotating the bottle itself while firmly grasping the cork until you feel pressure escape from the bottle. Make sure the bottle is not pointing at anyone, yourself included! 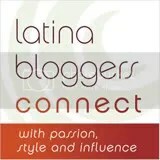 It’s important not to panic here, chicas y chicos. Ideally, you should hear a fiesta-inducing pop, not a heart-attack-inducing BANG. Wasn’t that easy? 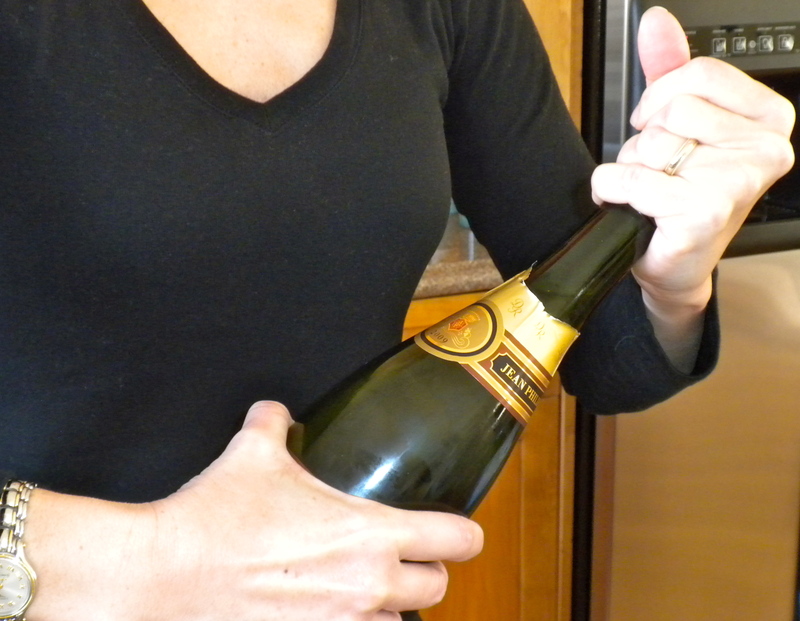 Before your New Year’s bash, you may want to practice uncorking the bubbly a few times, or with close friends who’ll still speak to you if you inadvertently shower them with a mini-Old Faithful. 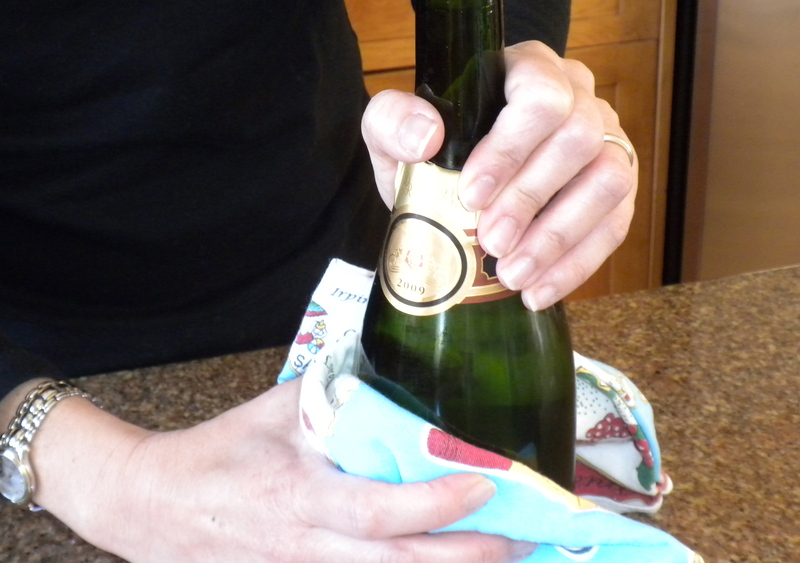 You left out an important tip, when taking off the foil and cage, be sure to aim the bottle away from you. Many years ago on my honeymoon, I darn near lost an eyeball as a bad bottle of sparkling erupted upon cage removal. Yikes! Glad your eye survived, Wandering. Thank you for pointing out the importance of aiming the bottle away from oneself and others at all times. Cheers and Happy New Year! Happy New Year! Where is the saber?!? Don’t spoil the surprise, Drunken Cyclist! My first post of 2014 was going to be a video of me opening a champagne bottle with a saber, but small animals and property were harmed in the process (kidding, of course). Cheers!